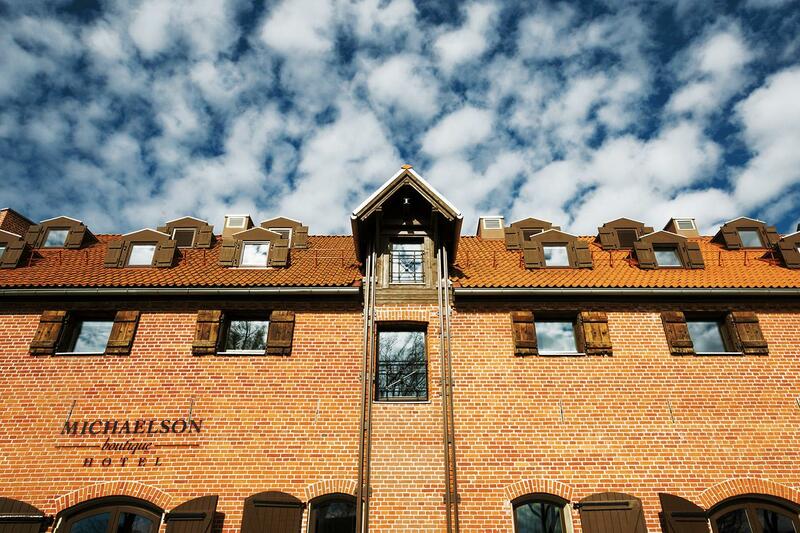 „MICHAELSON boutique HOTEL“ is located at the Lithuanian seaside, the port city Klaipėda, on the bank of the Dangė river near the castle site. We are established in a restored warehouses' building dating back to the 18th century, an authentic marine heritage monument enlisted in Lithuania's Cultural Values Registry. These singular buildings are also called Venetian warehouses, as they used to front the water in the past and ships could moor just by their walls. The waters have always influenced the architecture of the port city, for sure our character and identity as well. That is why we decided to name the Hotel after the first owner, the merchant Epraheim Michaelson.